In 2000 he became Associate Professor. In 2002 he became Associate Professor at the Faculty of Medicine and Surgery. In 2007 he became Full Professor. In 2007 he became Head of the School of Specialization in Physical Medicine and Rehabilitation at the University of Bologna. In 2010 he became Associate Professor at the School of Sports Science at the University of Bologna. He teaches many Undergraduate Degree and Postgraduate Degree Courses at the University of Bologna. From 1986 till 2011, he practiced surgery at the Rizzoli Orthopaedic Institute in Bologna. His main areas of interest are hip and knee surgery. He has performed over 10,000 surgical operations as primary surgeon. Of particular importance is the hip resurfacing technique he uses which is an alternative to total hip arthroplasty. This technique preserves the femoral head, thereby allowing patients to recover quickly and enabling them to carry out activities including sports. He has carried out over 1,500 hip resurfacing procedures, which is the largest number of cases performed in Italy and one of the largest in the world. He has developed innovative biomaterials to improve the fixation of implants in elderly patients with biomechanically weak bone. It is also now possible to carry out hip resurfacing in elderly patients with good bone quality. In addition, he has performed over 400 knee surgeries using computerized planning and has carried out more than 200 hip and knee revision surgeries. He has published over 160 scientific articles, 57 of which with Impact Factor. He has published in all the most prestigious British and American scientific journals as first author. He has written 9 book chapters and a monograph, all published abroad. He is a Reviewer or Member of the Scientific Committee for the following scientific journals: Scandinavian Journal of Surgery, Journal of Orthopaedic Trauma, Journal of Biomedical and Materials Research (Applied Biomaterials), Injury, Journal of Orthopaedic Research, Bone, Biomaterials, Journal of Bone and Joint Surgery (Am), Surgery of the Organs of Movement, Strategies in Trauma and Limb Reconstruction, Archives of Orthopaedic and Trauma Surgery, Clinical Orthopaedics and Related Research. He has presented at over 450 International congresses, many of which as an invited speaker. 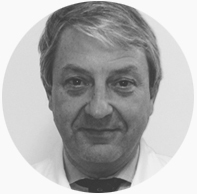 He is one of the few orthopaedic surgeons in Europe that has regularly presented at the Orthopaedic Research Society Annual Congress and the American Academy of Orthopaedic Surgeons Annual Congress, which are the most prestigious scientific congresses in the field of Orthopaedics. In addition, he has organized numerous National and International congresses. He was awarded 7 prizes including a prize for the best scientific work awarded by: The Spanish Society of Orthopaedic Surgery and Traumatology, the American Orthopaedic Trauma Association, and the American Academy of Orthopaedic Surgeons. He is a member of the following Scientific Societies: Member of the Italian Society of Orthopaedics and Traumatology (SIOT). In 2003-2004 he was a Member of the Executive Council. He is also a member of the American Academy of Orthopaedic Surgeons (AAOS), Member and President of the International Society for Fracture Repair (ISFR), Member and President of the Osteoporotic Fracture Campaign (OFC), Member of the Italian Society of Biomaterials (SIB), Member of the American Society of Biomaterials (SB), Member of the European Hip Society (EHS), Member of the International Society for Ceramics in Medicine (ISCM), of which he was President in 2000, Member of the International Osteoporosis Foundation (IOF), and Member of the Fracture Working Group.